There are so few cute “themes” for boys, so I thought I’d put together a slightly unexpected take on a safari room. I didn’t want this room to be full of earth tones, cause I feel you can really have fun with safari. 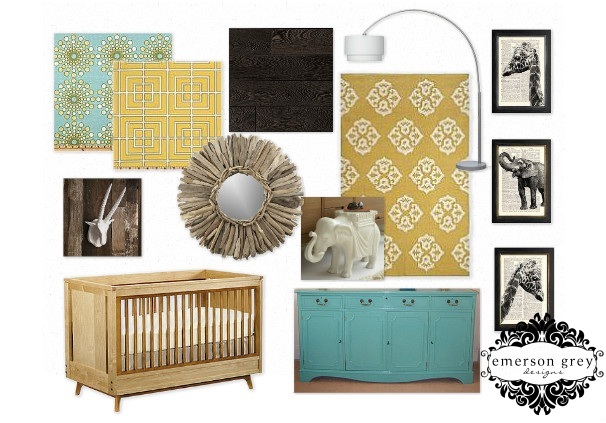 Using a neutral crib, mirror, floor and accents allowed for a few super fun pieces. A turquoise dresser and sunburst fabric, along with a rich mustard rug and amazing patterns. Who wants to go on safari?